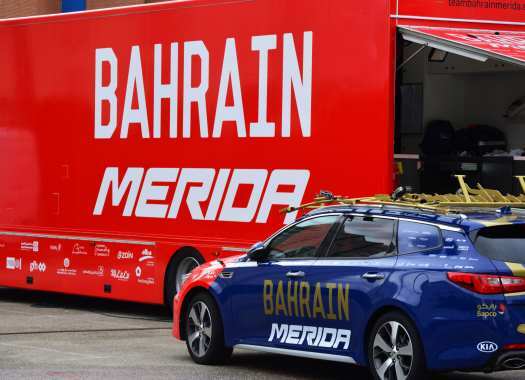 Bahrain-Merida's Rohan Dennis is ready to wear his rainbow jersey as a time trial world champion for the first time in Europe at the Individual Time Trial of Tirreno-Adriatico. The rider already had the chance of sporting the rainbow jersey at the Australian National Championships in January, but this will be the first time he will wear it in the European season. "I feel a little bit of pressure," commented Dennis. "To be at the start wearing the TT world champion jersey gives me more responsibility and expectations. I think my condition is quite good. I felt very confident during the TTT in Camaiore, I had a couple of rough days in the middle of this race but I think last year I was a little worse. In the last period, I had been training a bit more with my TT bike and I feel ready for a good race." The closing stage of the Italian race will be a 10-kilometre individual time trial in San Benedetto del Tronto.